Sometimes you need a project that provides instant gratification on a finish to jump start the creative process. I also wanted to make use of my existing stash. I have been saving a group of Debbie Mumm fabrics for years–at least 10 years–waiting for just the right pattern to come along. 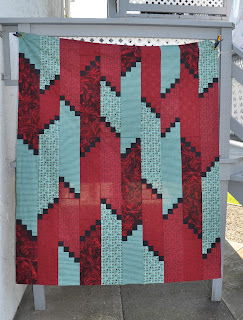 Terry Atkinson’s pattern, Fire Escape was just the ticket to showcase my stack of Debbie Mumm aqua and red fabrics. 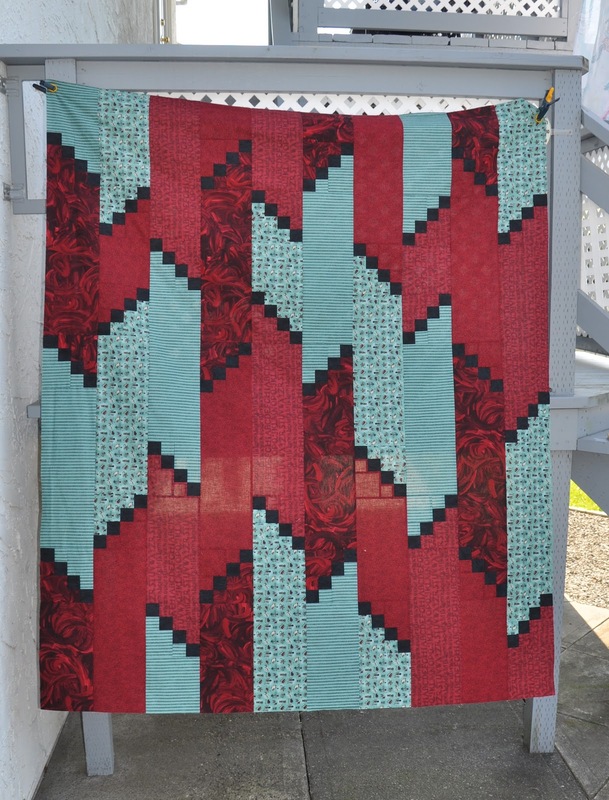 This pattern uses only 5 – 1 yard cuts of fabric plus one contrasting fabric for the lap size (60″ x 72″) quilt.